christopher Uses Innovative Environmental Solutions, Community Wins Several County Awards – christopher consultants, ltd.
Rivermont, a 52-acre residential community located in Great Falls, Virginia, was recently named 2018 Best Protected Environmentally Sensitive Site and Best Large Single Family Residential Community by Fairfax County. christopher consultants, engineer of record for the project, was also named Outstanding Engineering Firm by Fairfax County for their work on the site. The vision of the team was to maintain the rural character of the site, originally a farm, and be an environmental steward of the property. christopher worked closely with client Basheer Edgemoore to design innovative solutions that addressed several of the site’s challenges. The solutions included detailed erosion monitoring checks during construction to limit downstream channel erosion, extensive stormwater detention and water quality measures well beyond the State and County requirements, designing several underground stormwater storage systems to control runoff and best minimize impact to the onsite Resource Protection Area (RPA). Underground detention facilities also prevent mosquitoes and other open-water pests. With an intent to exceed environmental and sustainable requirements for the site, the team put together a plan that combined the most effective best practices from Virginia, as well as those from neighboring jurisdictions to Fairfax County. This included specially consolidated construction phases to limit the amount of denuded soil during any single phase, monitoring downstream channels and ponds with periodic survey checks, as well as running a check on the bottom of a neighboring offsite pond before and after construction to identify any added sediment buildup. All stormwater management facilities used on the site (underground detention and bioretention) allow for the maximum possible infiltration, supporting Low Impact Design (LID) approaches whenever possible. 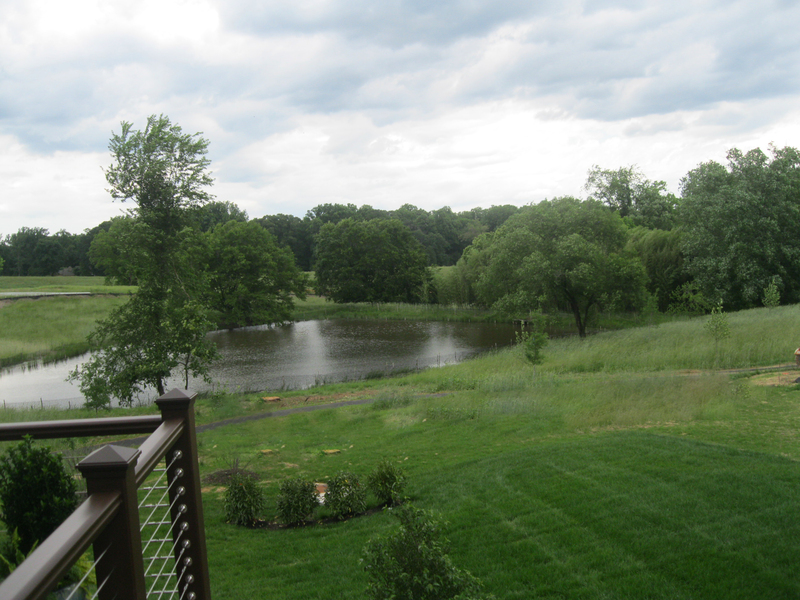 christopher preserved an existing wet pond on-site to provide a certain amount of stormwater control that will act above and beyond the other controls so less polluted stormwater enters the streams that flow to nearby rivers and the Chesapeake Bay. The team continued to exceed the minimum requirements by planting 350 trees in one of the reforestation areas, planting drought resistant grass and planning trails around the pond and throughout the community. Together, christopher and Basheer’s Rivermont will serve and benefit not only its residents but the surrounding community for years to come and serve as a model to others in the industry.